Inspired by symbols and meanings of tribal, celtic, astrology, gothic, christianity and ancient mythology, ZOKU (a Japanese term meaning tribe) tribal pendant collections have become one of the fastest growing trends. 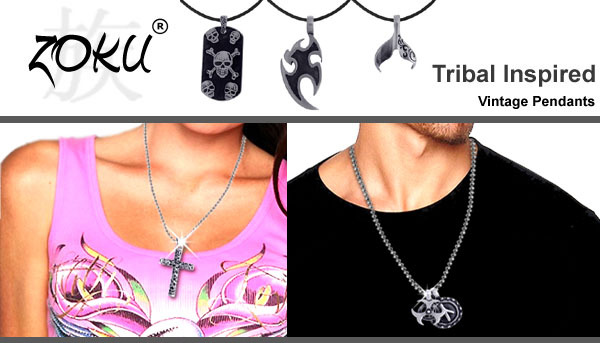 Most ZOKU tribal pendants are made of brush-polished silver over a core of fine grade of pewter. Get this cool and meaningful tribal pendant and express yourself!